We are looking for a Full time GP to replace a registrar who is billing $30k/mth as well as support the continued growth of the practice. Located conveniently next door to a large Chemist Warehouse the practice has a good regular client base and ongoing walk in traffic. 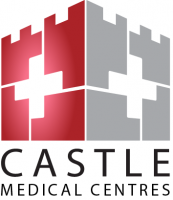 Supported by the sales and marketing team of Castle Hill Medical Centre the site has all the benefits of working with a large practice and still retains a small family friendly service offering. The practice has good relationships with a number of retirement and RACF villages and provides the support to develop strong patient retention for each GP. The practice is fully computerised has both procedure and treatment rooms and is AGPAL accredited. Owned by GP's our philosophy is to deliver high quality medicine with excellent clinical outcomes. Due to this the practice is well regarded by patients and peers alike.